Based on the consecutive rainy days we have been experiencing, and eventual warm weather, mosquitoes are on their way. Although we currently see no sign of mosquitoes, once the temperature reaches approximately 25 degrees, the insects will quickly progress from egg to adulthood within a week. Therefore, Calgarians should be bracing for an outbreak. 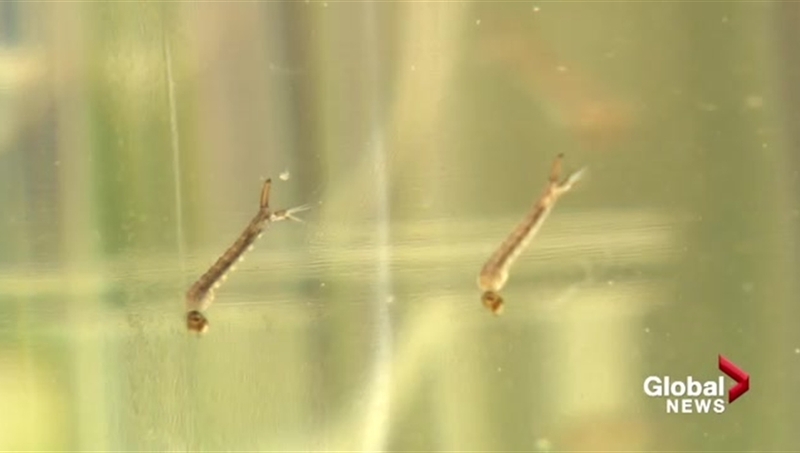 Global Television interviewed one of our mosquito experts, Tadek Sampson, to explain the conditions mosquitoes thrive in, and how rapidly the insects can grow. Mosquitoes only require the slightest amount of water to lay eggs. One of the best preventions of infestation is to avoid having any amount of still water in your yard, where you are most likely to be bitten. These pesky insects not only cause irritation, but have the potential of carrying the West Nile Virus. It's important to take precautions to protect yourself during the spring and summer months.